Simply put, educational psychology is a field of psychology that scientifically studies how people learn. This branch uses scientific research to understand the psychology behind human learning and knowledge. Below explains how this valuable field helps educators around the world help students every day. Most historical experts trace the beginning of educational psychology back to Greek and Roman periods. For example, both Socrates and Aristotle wrote treatises that expounded on the psychology of learning. Many famous European philosophers also contributed to the theories behind educational psychology. However, from a historically diverse perspective, other cultures had an even earlier start on the psychology of education. For example, Confucius was a Chinese scholar and philosopher that predates Socrates. His influential views and learning theories have influenced China and neighboring countries well through the 21st century. In the end, many branches of science and psychology have contributed to the modern field of Educational Psychology. Applied behavior analysis is a psychological perspective which postulates that methodical rewards help students cognitively grow. For example, students who obey classroom rules or get good grades are given favorable rewards. On the other hand, the cognitive perspective of educational psychology holds more sway in the educational field. This may be because a cognitive approach embraces the correlations between attitudes, memories, emotions and successful knowledge acquisition. Finally, developmental psychology focuses on the cognitive science behind learning, teaching methods and individual differences. How Does Educational Psychology Help Educators? According to the American Psychological Association (APS), educational psychology provides unique psychological insights into the learning process that help teachers motivate, support and manage students. For example, educational psychology helps teachers deal with inappropriate classroom behaviors, such as bullying and violence. Educational psychology helps teachers understand how to safely perform interventions with bullies and prevent classroom violence. Teachers also can gain insight into human social, emotional and physical development. In the end, teachers can apply the principles of educational psychology to reach education goals and help students learn necessary life skills. 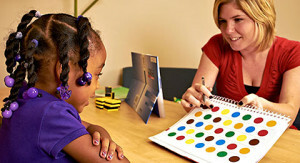 Educational psychologists specialize in youth education. While school psychologists work directly with children, an educational psychologist focuses on the big picture and scientific research and theories. Therefore, an educational psychologist will probably not meet the state licensing requirements to assess children. However, they are definitely qualified to analyze data and provide recommendations to educational and government organizations. Educational psychologists typically work as consultants or researchers. For instance, they may work as a psychometrician who objectively measures student skills, knowledge and even personality. Or they may use their advanced training to act as an educational activities director for a large institution. Adult learning, or andragogy, is focuses on how adults distinctively learn. In fact, there are certain aspects of the adult education process that differ from children or teens. Since adults are generally self-motivated, their actions are self-directed and independent of others. Most working adults will view learning as a means of problem solving, as opposed to children who simply view education as defined subjects. Adult learning is generally divided into three different circumstances: formal learning at an educational institution, informal learning with any organization and personal learning that occurs during daily activities. In the end, educational psychology has a long history of helping students of all ages learn important skills and knowledge while reaching their educational goals. Educational psychology offers beneficial insight into how human’s acquire skills and knowledge. The principles of educational psychology are important and applicable to both individuals and educational institutions.